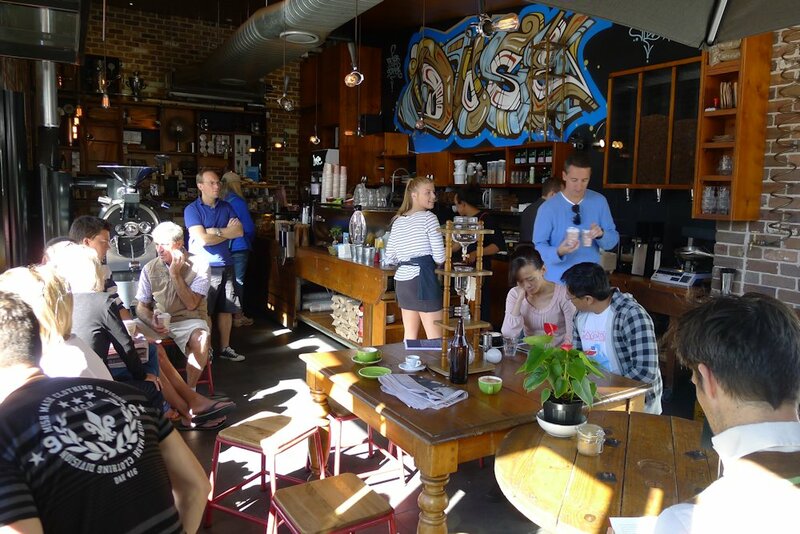 Dose – I love the name and I love that this humble café embodies the passion of baristas and coffee lovers alike. 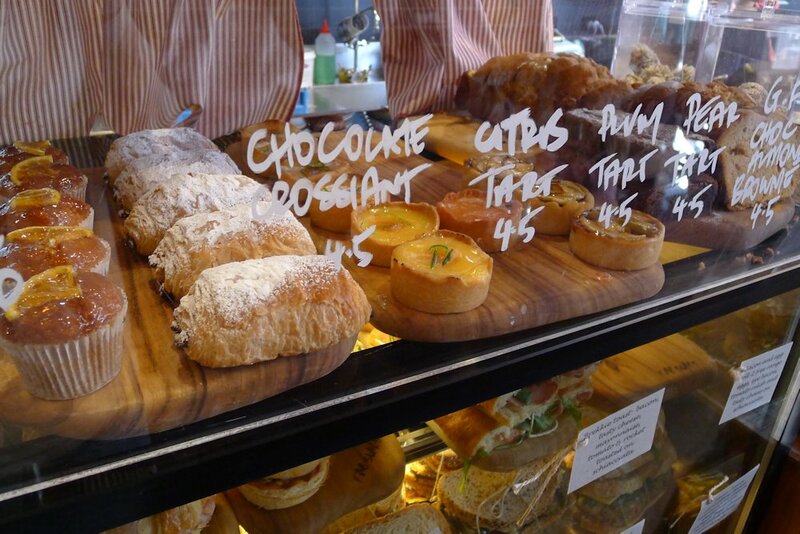 Ristretto, espresso, chai, cold drip, they do it all and they do it well. The interior is tiny but they make excellent use of it. 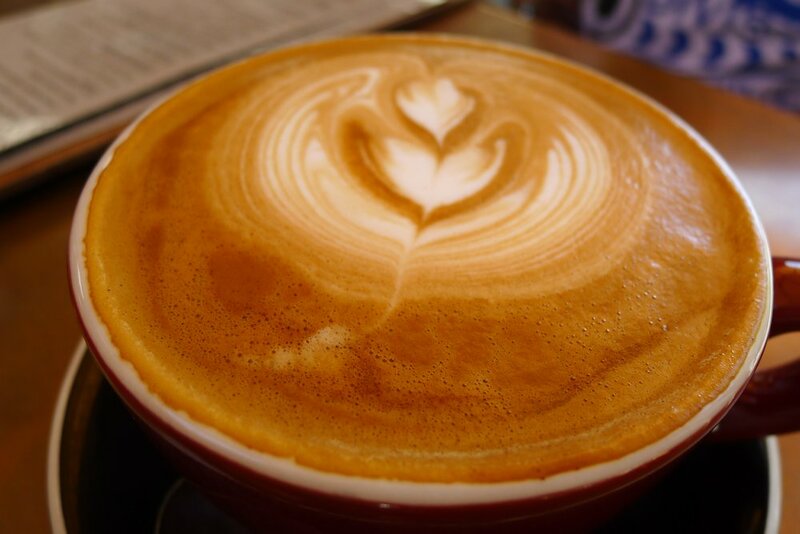 Nothing beats snuggling in next to a bean roaster while sipping your favourite brew, bathed in sunlight. The tables spill out into a small arcade with some seating edging into the miniature parking lot. Ordering and paying is done at the counter but the young, fast and friendly staff will have your items to you in no time. Our coffees were simply amazing and at $3.50 for all the ‘normal’ cups, I was surprised at the price. 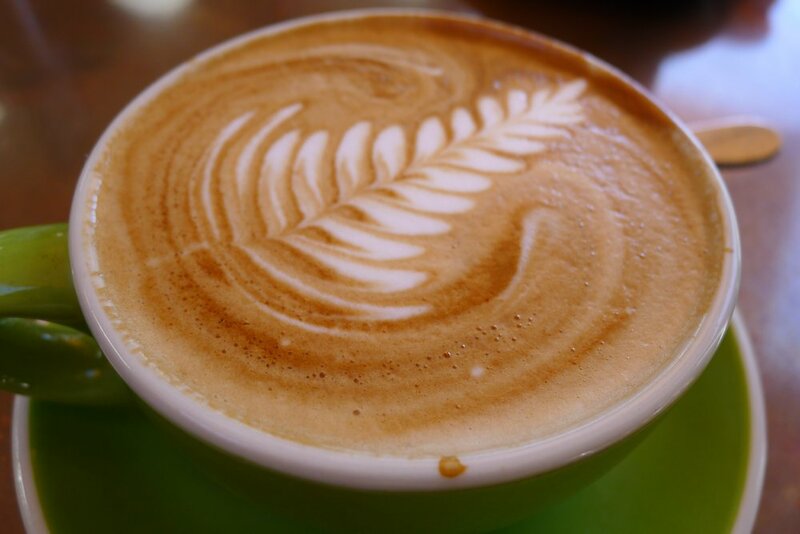 You can of course splash out on the Single Origin of the week ($4), chair latte brewed with chai leaves, cold drip of the week, organic RFA Belgian hot chocolate or mocha ($4.50 each), affogato with gelato of the week ($6.50 each) and a plethora of other coffee-centric beverages. Our coffee had a deeper flavour than most other cups we have sampled. 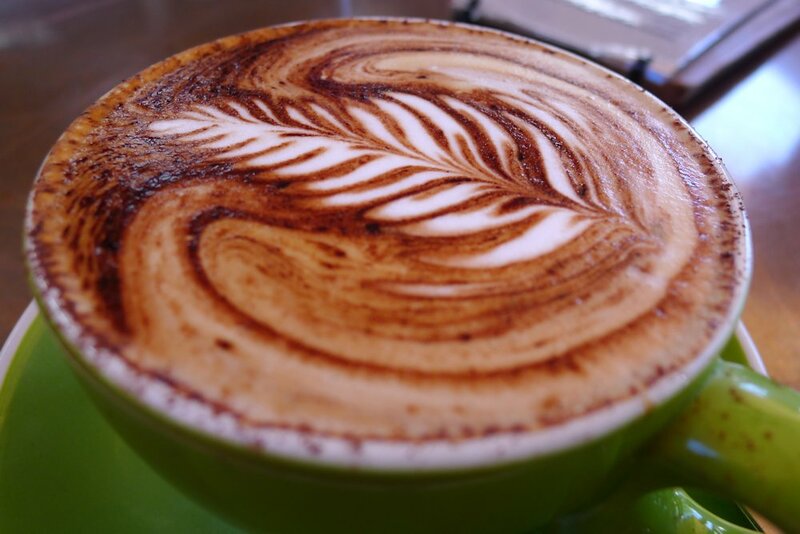 Suffice to say if you’re after a decent coffee on the North shore, this could very well be the place for you! 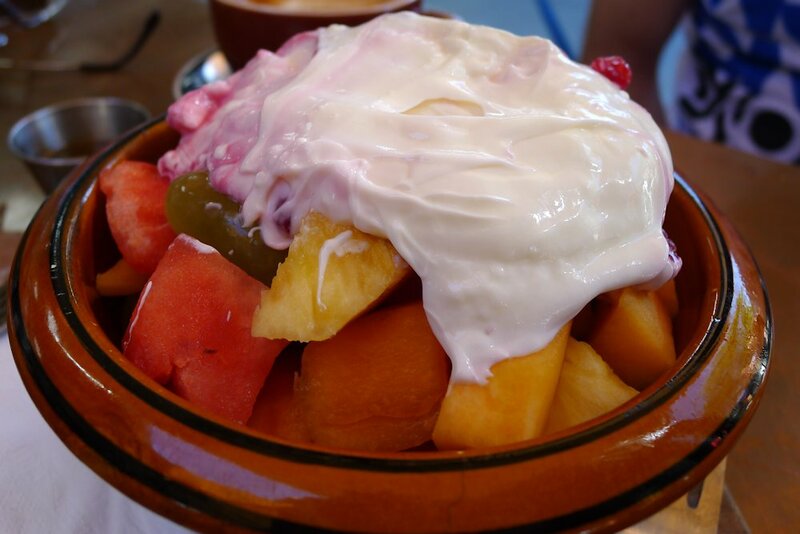 We started with a shared seasonal fruit salad ($9) and added yoghurt for $2. Dose also obliged and added a small bowl of honey as requested. Grapes, pineapple, watermelon, rockmelon and kiwi all topped with a thick yoghurt sprinkled with raspberries… fresh and delicious. 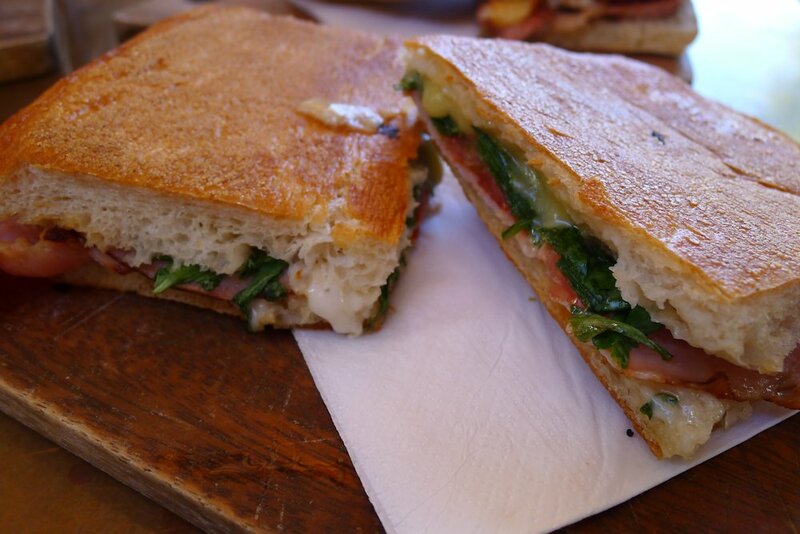 The brekkie toast ($10) comes with bacon, tasty cheese, mayonnaise, tomato and rocket on schiacciata. I requested a fried egg inside as well. This was accepted at the cash register but my money was returned to me later and I was told the request could not be met. While disappointed, I understand as it appears that most of the food preparation is done before Dose opens and all staff are occupied with serving thereafter. Either way I enjoyed my sandwich which had some delicious bacon. The mayonnaise (and some seeded mustard) wasn’t over done which I was thankful for as it could have drowned out the rocket and bacon. 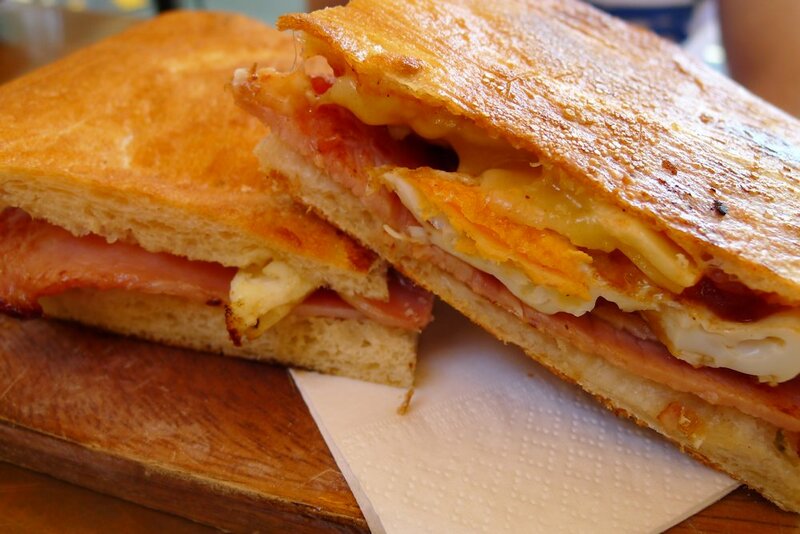 The bacon and egg roll ($10) is simple enough but tasted great. Plenty of eye bacon, two free range eggs, a sweet tomato relish and tasty cheese. Whether on the run or sitting down, this would be a crowd pleaser. 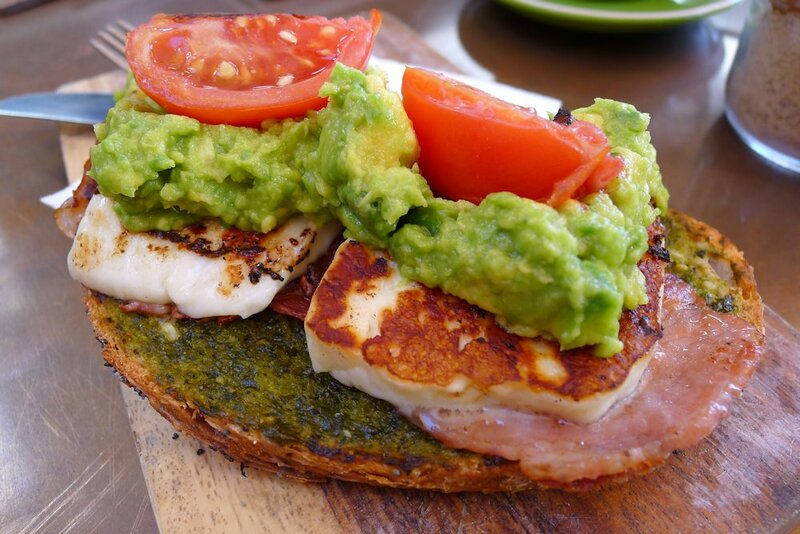 It’s all in the name with the crushed avocado, grilled haloumi, oasted tomato and basil pesto on sourdough ($14). Dose did actually accommodate our request in this case and added bacon for us. This dish was as good as it sounds. The saltiness of the haloumi and bacon complimented the avocado superbly while the toast alone was crunchy and delicious. Any dish with bread can also be prepared gluten free. I was genuinely surprised and happy to stumble upon Dose and I’m looking forward to returning. If you see me there in my Sydney on Sunday T-shirt, be sure to say “hi”! 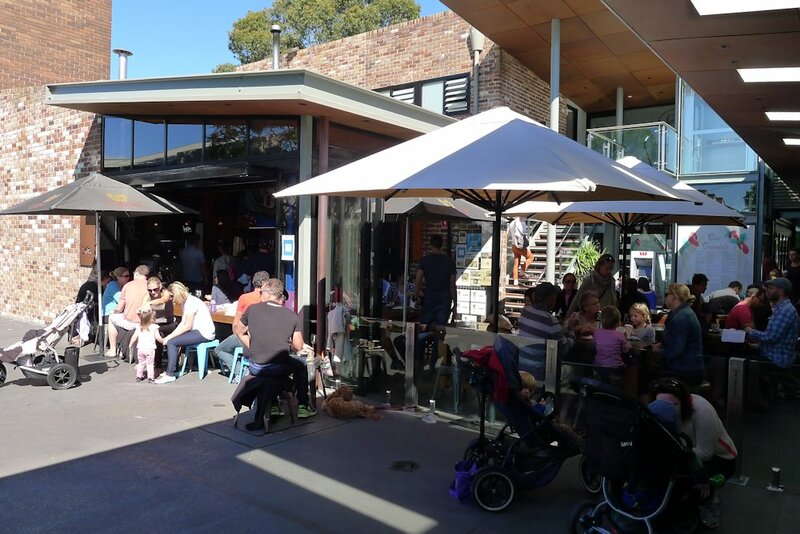 This entry was posted in Sydney - North Shore and tagged Disabled access, Dog friendly, Free range eggs, Gluten free options, Organic Options, Outdoor seating, Parking close by, Reasonable prices. Bookmark the permalink.